There are just times you need a feel good type of show. 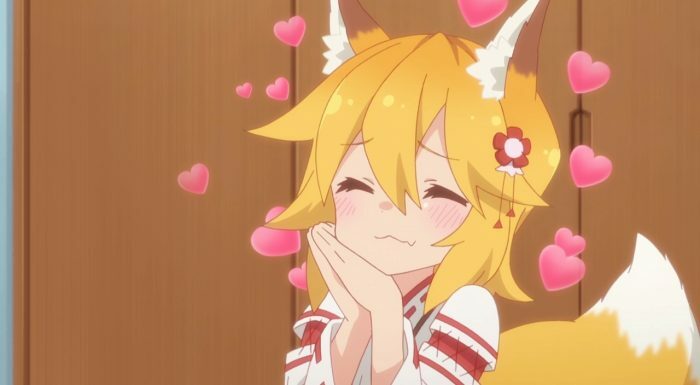 Senko is the kind of show that leaves me smiling and glad it exists in this world. This is a show that knows what it is and in some ways feels as if they made the show to help alleviate any stress of the viewers. 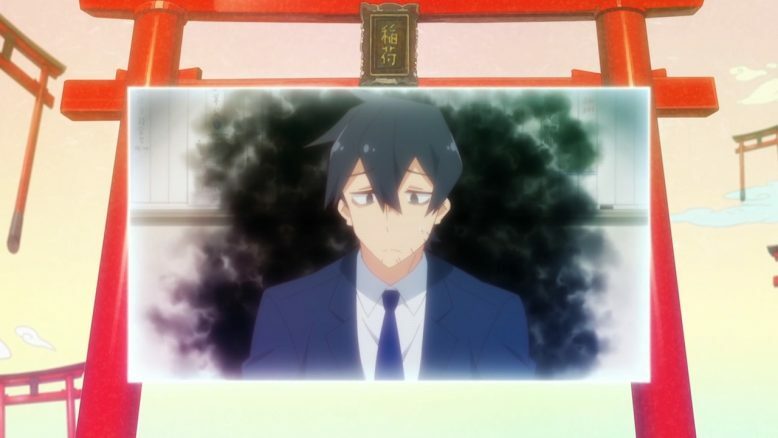 That little segment at the end of the episode about the viewer being part of the experience and sharing some tea with Senko gets that across. Not that this show isn’t going to have some serious aspects or place some focus on heavier topics. The main character is brutally overworked and we are seeing the impact that is having. He looks utterly exhausted, dead, hopeless, and that negativity spreads out to those around him. Without a Senko showing up, Nakano may honestly just die from the overwork. The show has good enough reasons that you can gleam for Senko showing up. Say it is one part of Nakano being her type and a clearly hinted connection between her and his family. If his family has run a shrine for kitsune then it makes some sense for those spirits to have an interest in his family. All the more so if Senko did interact even a bit with Nakano as a child. Now maybe it wasn’t her specifically, but it is likely that someone she knows did. Throw in that they can see the negative energy that is wearing down his body and there’s reasons to want to get involved. Besides, the kitsune seem like naturally nice beings that would enjoy helping out where possible. 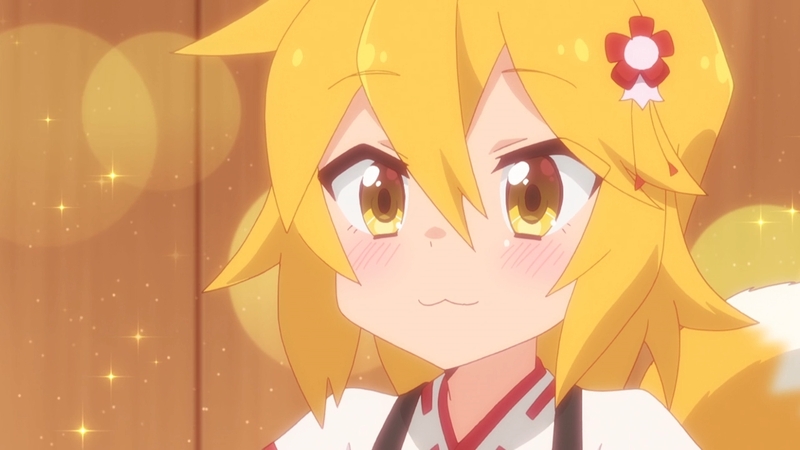 Senko is a lovable person and that’s just where I’m at with her. This is someone who decided upon seeing Nakano suffering that she’d take action herself. Despite the fact that she has some magical powers the solution she decided on…was pampering. All she wanted to do and did do was cook a meal and try to relieve his stress a bit. And it did work wonders. This isn’t the first show that has praised the powers of eating a good meal with someone. And I fully believe that getting to pet that super fluffy tail would save a person from their stress. I’m also kind of glad they just ran with her identity instead of spending several minutes debating on whether she was a real fox spirit. She can pass through walls, has a functional tail, and cooks a great meal. Why question it? So far I like Nakano as a main character. He’s someone who is working as hard as he possibly can. It isn’t as if he’s lazy or a jerk. But rather Nakano takes on the work that comes his way, even if he really doesn’t want to do it. I don’t feel displeased at seeing someone who is doing the best they can getting a bit of help. A person like that who is pushing themselves too hard sometimes just needs an excuse to take it easy for a bit. Life is going to continue on regardless. So what’s wrong with accepting a kind offer to relax before the weight of his stresses wear him out completely? He had a fair amount of ‘what the heck’ when first meeting Senko and I did get a laugh from his visual imagery of his potential future. A nice main character thus far. This was a good start for the show. Just a pleasant first episode that introduced the main characters and the situation we’re getting into. Nothing too complicated right now. 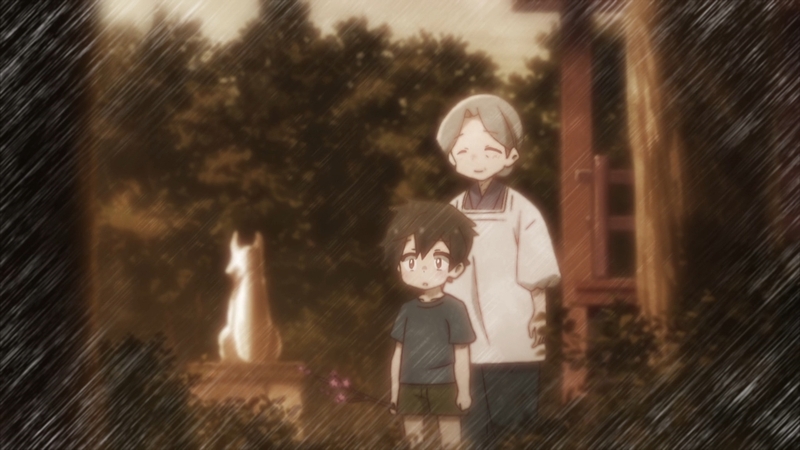 It was just a feel good episode that started off with saving Nakano from his stress and getting Senko into his life. It should be nice and relaxing to keep watching this show. Whether I pick it up for the whole season probably depends on having enough to talk about in episode 2, so we’ll see how that plays out. 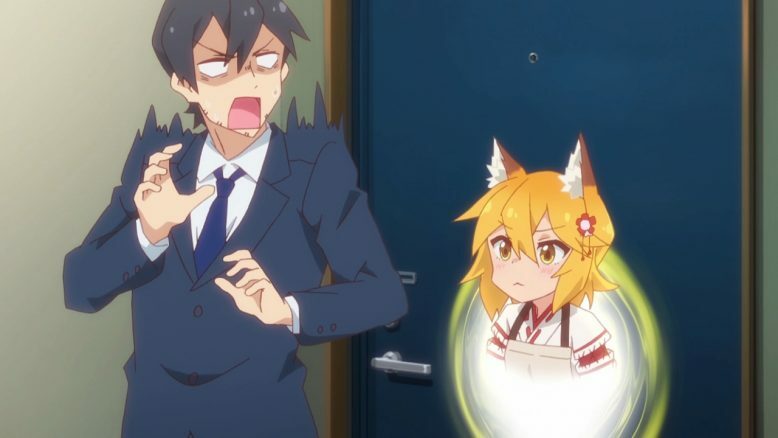 But this was a nice and comfortable first episode about a fox spirit coming to save a seriously overworked individual. Nothing wrong with that as far as I’m concerned.